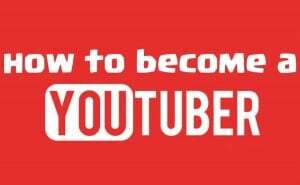 "How to become a YouTuber"
Welcome to one of our newest classes at Create and Play Camps. In partnership with Game On esports Center as our broadcast partner - we have created the first of a series of "YouTuber" classes to initially be held in our Westfield, IN location. YouTube is more than just a video platform -- it’s a community of worldwide fans. More than 400 hours of video are uploaded to YouTube every minute. People watch hundreds of millions of videos ranging from mainstream topics like “how-to,” news and sports, to the very specialized or niche. But they don’t just watch; YouTube is a social network where fans comment and creators interact with their communities. So why not broadcast whatever you’re most passionate about. Create and Play Camps will help you along the way! Create a channel: When setting up a channel on YouTube, you may want to get the initial housekeeping tasks out of the way so you can focus on taking your great channel idea and transforming it into a reality. We’ll show you the steps to kickstart your channel and get it ready for future uploads. Be found: Next, consider how your videos will get discovered on YouTube. 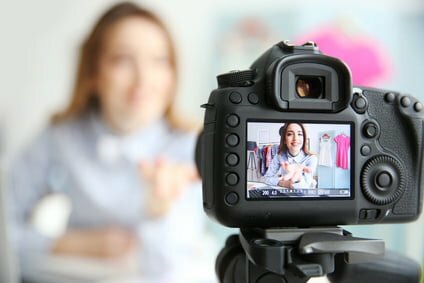 Successful YouTubers often grow their channel by finding the right audience and adding customizations. While viral videos can bring in views, it’s more common to build an audience with a series of videos on a topic you’re passionate about. Keep ‘em watching: Once audiences uncover your videos and love them, you’ll want to encourage them to come back for more. This class will teach you simple strategies like having a consistent upload schedule or creating playlists can help. Drive fandom: Once you’ve accomplished these three steps, it’s important to talk to your fans like they’re your friends, both on YouTube and through social channels. Conversation with your audience can be fun and an effective way to build a loyal fanbase. Students of any age interested in learning how to become a YouTuber. An interest to learn more about YouTube and the basics of video production. As young and old audiences continue abadoning television and other traditional forms of traditional entertainment in favor of social media platforms through apps, online channels, and networks, YouTube has attracted millions of engaged users who now watch over 4 billion videos each day and over 6 billion hours of videos each month. The platform's top YouTubers have both capitalized on and served as an impetus for this growth, drawing large audiences by creating content that is both entertaining and authentic while fostering influential relationships with their followers. Create and Play Camps in conjunction with Game On esports Center have developed the premiere studio and content to share with audiences both young and young at heart to create their own brands and YouTube channels.